Is there a better alternative to Codebug? Is Codebug really the best app in Editors category? Will Codebug work good on macOS 10.13.4? 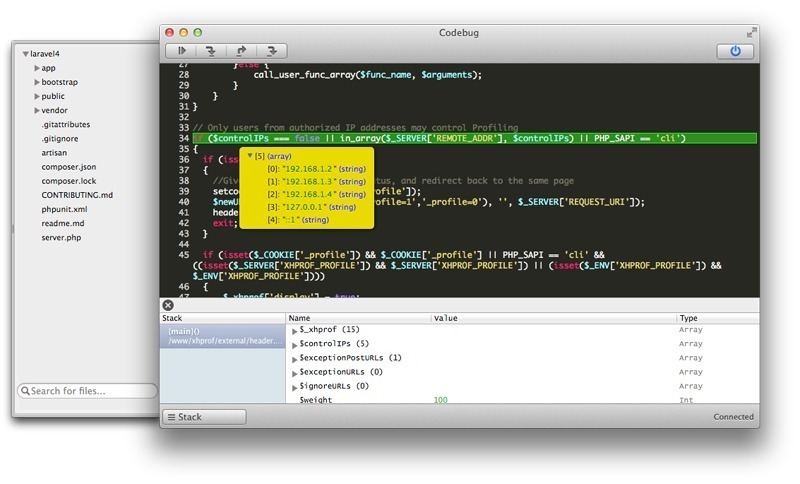 Codebug is a PHP Xdebug frontend for Mac OSX. It allows web developers to debug their php script without having to rely on an IDE or messy configurations. Codebug is now an Apple developer certified application. Fixed Yosemite bug, where the stack variables didn't show up after 1.5.0 release. Watchers are now working as usual.